WataugaWatch: Time To Burn a Few Heretics? Some evangelical Christians, at least the ones with an education in science (which is admittedly a shrinking cohort), are publicly saying that a literal interpretation of Genesis is just not possible. 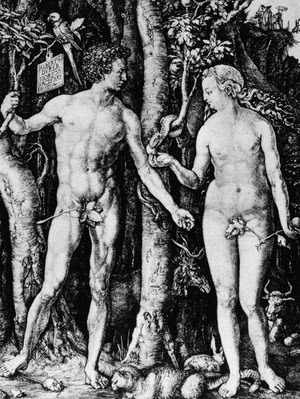 John Schneider, for example, who taught theology at Calvin College in Michigan until recently and now says, "There was no historical Adam and Eve, no serpent, no apple, no fall that toppled man from a state of innocence." Comical as it may seem, such dawnings, based on evolutionary evidence, are moments of stark bravery for conservative Christians. But it you lose the famous apple brunch in the Garden of Eden, say many Southern Baptists, you lose the whole shooting match. Unacceptable -- in fact, damnable -- which is why much of contemporary science is simply taboo to conservatives. They'd rather take us all to hell-on-earth than admit that the foundations of their theology are fairy tales. The S.B. 's should read what Irwin Kula says about the story of Adam and Eve. But then, they probably wouldn't understand it, even though it is clearly written, or they'd just condemn it as heretical.